Courtesy of L&W Oyster Co.
Everything from tarantulas to lizards have been eaten alive and documented on the Internet. In 2012, a YouTube video showing a woman in Japan eating a live frog went viral, and a trend began. However, eating live animals has been a tradition in many cultures for years. Outside of the one-off performances of extreme eaters, there are a few delicacies that are commonly served alive and kicking. 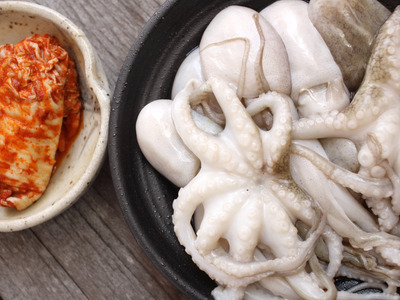 Sannakji is a raw Korean octopus dish that squirms on the plate. 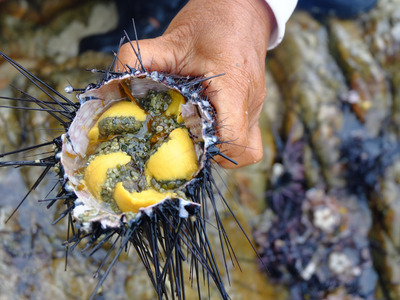 Its recent popularity in Instagram videos has made it perhaps the most well-known live dish. Baby octopus is cut into small pieces, lightly seasoned in sesame oil and served immediately. 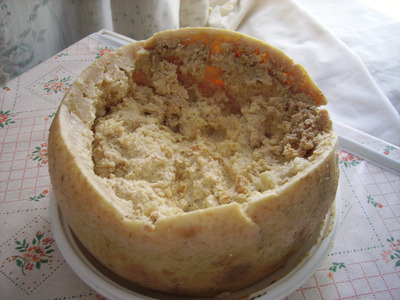 Cazu marzu means 'rotten/putrid cheese' in English. It's a traditional sheep's milk cheese from Sardinia that contains live insect larvae -- or maggots. 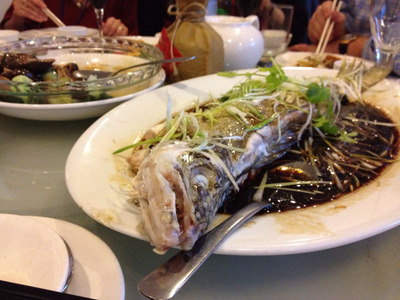 Ying Yang Yu fish (aka 'dead-and-alive fish') is a deep-fried whole fish served in China. The fish head is wrapped in a wet cloth to keep it breathing while the body is cooked. Some Chinese chefs cook the dish this way in order to prove its freshness to the customer. In Japanese, 'ikizukuri' means 'prepared alive.' Chefs prepare sashimi from live animals. In traditional ikizukuri, diners select the animal they'd like to eat from restaurant fish tanks. The chef catches it, quickly removes any inedible parts, then serves it then and there. 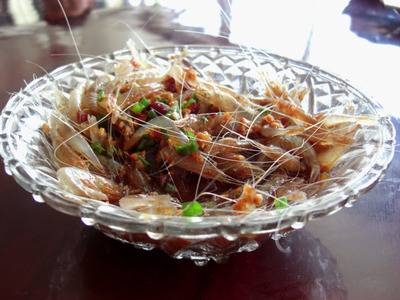 'Drunken shrimp' is a Chinese delicacy where freshwater clawed shrimp are doused in ethanol. It's often served with a lid to prevent the shrimp from jumping out of the glass and onto the diner's lap. 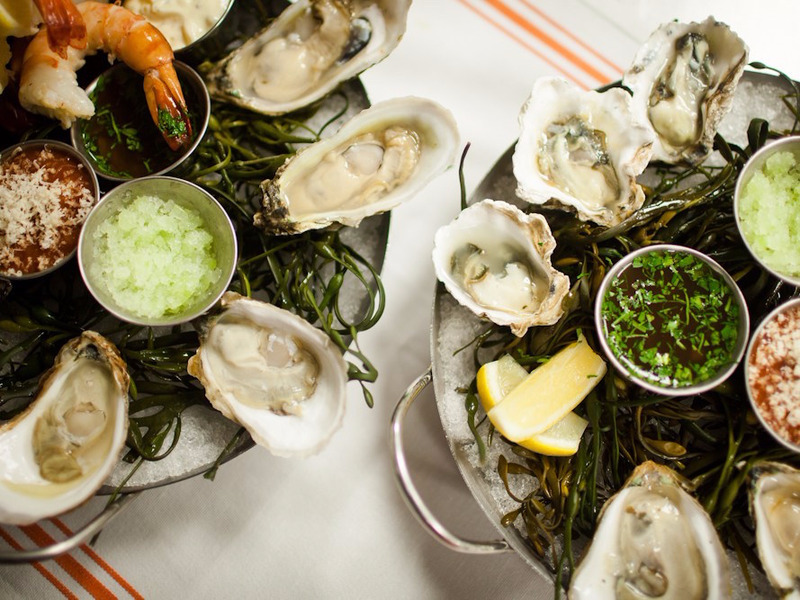 If you've eaten oysters before, you most likely digested them while they're still alive. Oysters deteriorate much faster than most other animals, so high-end restaurants serve them as quickly as possible. Until the oyster is separated from its shell for a significant amount of time, it remains alive.